Manchester United fans must remain patient with Jose Mourinho as he shapes the squad to his own liking, according to Chelsea icon Marcel Desailly. Mourinho's side were beaten 1-0 at Stamford Bridge on Sunday to fall eight points behind leaders Manchester City in the Premier League title race. The Portuguese delivered EFL Cup and Europa League glory in his first season at Old Trafford, but the devastating form of neighbours City has left United trailing in their wake in 2017-18. And Desailly believes Mourinho should remain true to his style as the manager grapples with a playing staff not yet entirely to his satisfaction. "He has to stay as Mourinho. 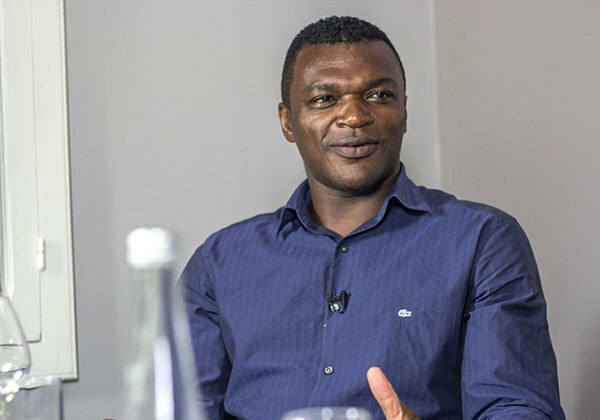 He knows the capacity of his team," Desailly told Omnisport, speaking ahead of the Golden Foot Hublot Award in Monaco. "He looks like he's not really had the team he wanted, like when you compare with [Pep] Guardiola, who really chose every player he wanted in and out. Mourinho, he's still dealing with some players that he didn't really want in his system. "He's doing well, so I hope United will shine like they were shining at the time with [Alex] Ferguson. "But it's tough. Every time, every game, there's big history on the shoulders of all the players and on the manager. So, let's give him time."